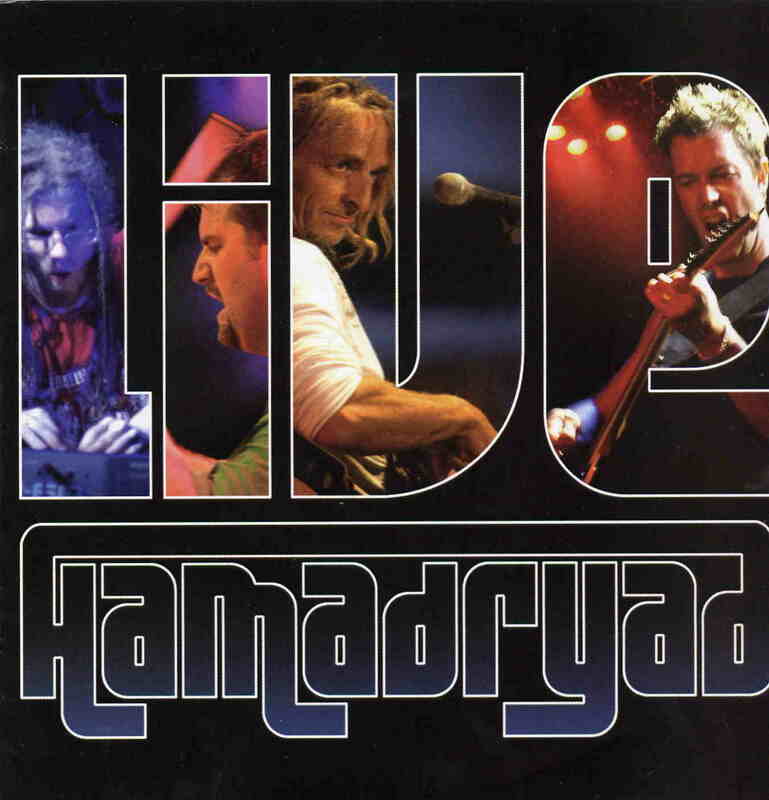 Hamadryd are a Canadian band, caught live on disc at the 2006 Crescendo Festival, their first ever concert in Europe. Band mainstays Jean-Francios Desilets (bass) and Denis Jalbert (guitar) have been playing together in a variety of Canadian bands since 1987, forming Hamadryd in the late 1990’s with Denis brother Yves on drums. After their first album, 2001‘s “Conservation Of Mass”, they were abandoned by original singer Jocelyn, enabling Desilets to come to the fore as lead vocalist, while still retaining bass duties. In the final stages of recording 2005’s “Safety In Conformity”, keyboard player also left, and was replaced by Sebastien Cloutier. It is this current live-up that features on the latest release. Opening track “Sparks And Benign Magic/Self Made Men” is a nine minute mission statement, taking in the classic progressive sounds of Genesis (Desilets is a virtual sound-alike for Peter Gabriel) by way of such neo-progressive bands as Spock’s Beard and Dream Theatre. Choral-synths lend an epic sound to “Anatomy Of A Dream”, and tricky time signitures dominate this and other cuts on the album. “Amora Demonis” takes in supernatural themes, built around a tricky guitar/keyboard riff, and at times the band inch painfully close, bit just short of, Spinal Tap-like prog rock parody. Shorter tracks like “One Voice” and the fine instrumental “Nameless” bring a refreshing discipline to the live show. The lengthy “Watercourse Hymn” showcases Cloutier’s command of the keys, which fits in with the Hamadryad sound so well it is hard to believe that he is only a comparative recent arrival. “Polaroid Vendetta” reaches levels of co-ordinated sonic anarchy scarcely heard since Yes’ “Beyond The Gates Of Delirium”, in contrast with “Alien Spheres”, which could almost be a shot at commercial radioplay, if not for its six-minute length. Hamadryad are a welcome addition to the ranks of 21st Century progressive bands, and this live album gives a good starting point for new fans.